We help to support youth programs for all ages at our partner national parks.  We are longtime supporters of the extremely popular NPS Junior Ranger program at our partner parks. Happy kids go home with a badge and a smile..
Maui students ranging from junior high to high school participate in internships that give them insight into various facets of park operations. At Hawaiʻi Volcanoes National Park, we support the Youth Ranger Program via donations for training and employment of island youth. Our support helps make possible daylong visits or month-long internships. As part of a park-wide program entitled “Special Events to Engage and Connect,” roughly 500 4th-grade students gather at Kaloko-Honokōhau National Historical Park for two days every November to open the Hawaiian Makahiki season. They absorb Hawaiian culture through hula lessons, fishing lure and lauhala bracelet-making, kapa cloth stamping and much more. Students also hear about invasive species, Hawaiian monk seals, and seasonal fish spawning. Our support to Haleakalā National Park has made it possible for hundreds of local youth to visit the park for day visits via rental buses. In Hawaiʻi, school buses do not belong to the schools and must be rented. This additional expense is often too much of a financial challenge to schools, and we are happy to help provide opportunities for experiential education.